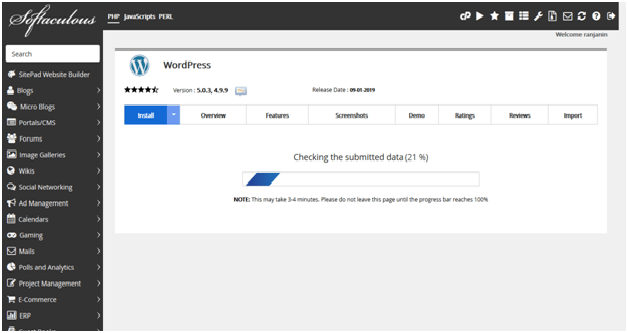 < How to install WordPress? There You can see Wordpress on first position. If not, then Search for wordpress. This will open a screen with several options displayed. You will see a screen with Install, Overview, Features, and Import. Click on the Install link.